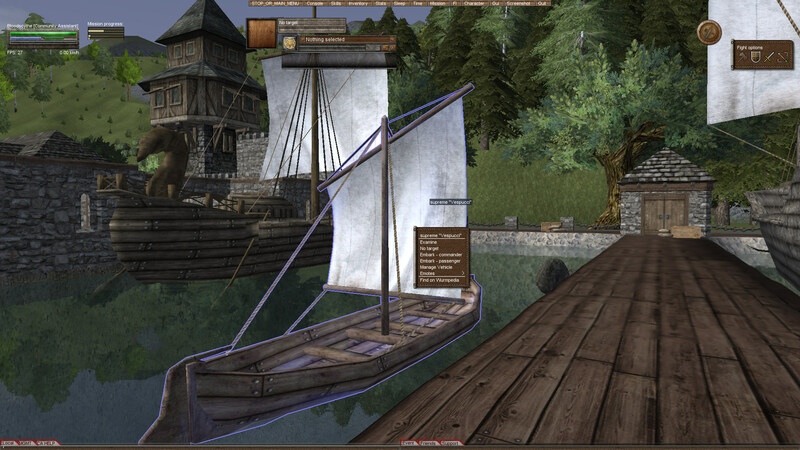 My very first boat made in the game over 2 years ago. This was before ship transporters were available, and I had a noob notion to build it on a interior pond that could be sailed across in 2 minutes. It sat land locked for a half year before it found it's freedom to explore vast lands. Aptly named "Vespucci"
[00:00:05] A small sailing boat that will accommodate five people. This is a supreme example of the item, with fine details and slick design. It is locked with a lock of very poor quality. It is made from cedarwood. You notice some notches you must carve away in order to improve the "Vespucci". Sold for Buyout. Thank you for Business!! !